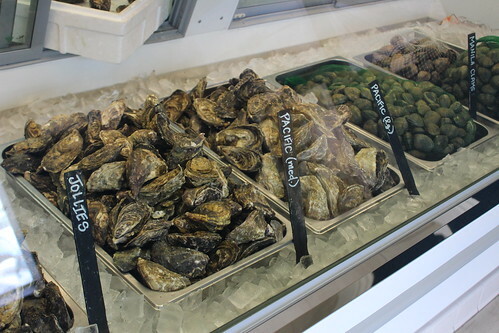 At their market, you can find three different types of oysters: Kumamoto, Pacific Oysters, and the namesake Jolly oysters, which are a cross of the Kumamotos and the Pacifics. The Jollies were our favorite! 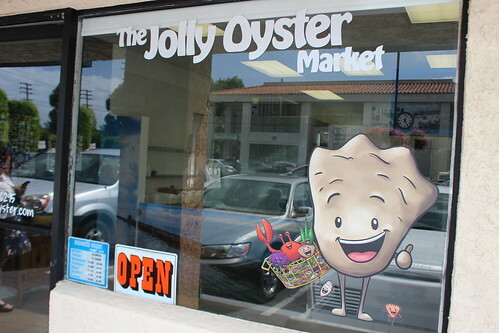 Granted I haven't really bought a lot of oysters at markets or grocery stores before, but you won't be disappointed with the quality and freshness of the osyters here. 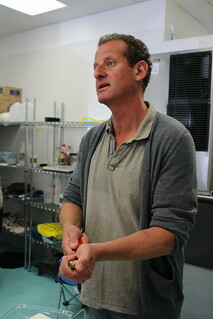 The owner, Mark Reynolds, showed us how to shuck oysters. He makes it look so easy, but it took us a while to just shuck one oyster. Practice makes perfect? They also sell shucking knives if you want to have a go at it. Now they also have Island Stone Crab claws. 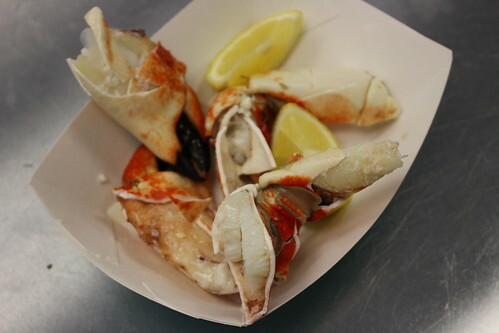 Now, stone crab claws are sustainable because stone crabs can regrow their claws! It can take the crab about 3 years to regrow to 95% of its original adult-sized claw and the claws have to be broken at the correct place to begin with, but when everything is done properly, it seems a great way to harvest crab meat without killing the crab. 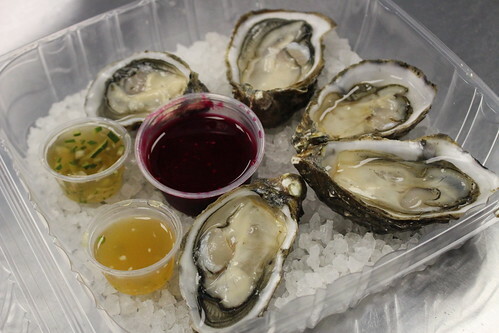 While we were there we saw a couple discussing their wedding with Mark - so, yes, you can have Jolly Oyster cater oysters for your private parties. 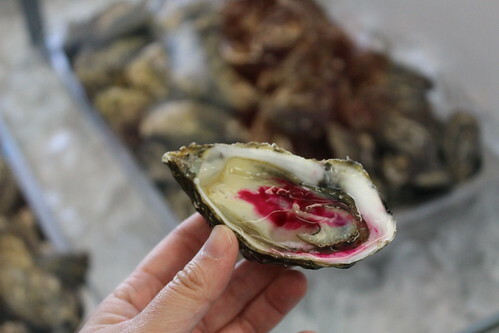 Oyster and champagne reception? Sounds like an amazing wedding. Don't forget to invite me.